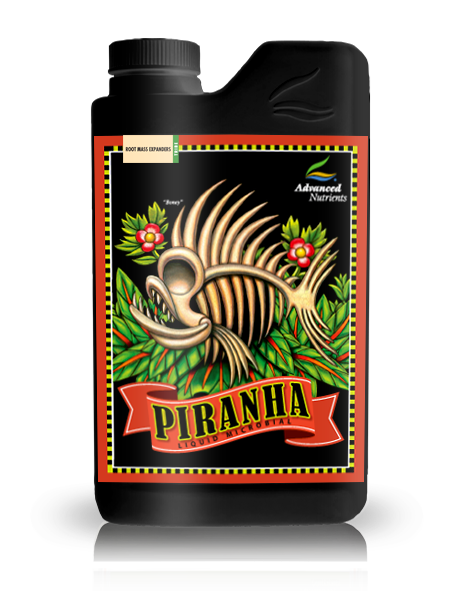 Piranha enhances growth and yield in any type of gardening situation, including soil and organics. It is a 100% organic formula. Advanced Nutrients hires world-class microbiologists who practically live in the laboratory-that’s how competitive and dedicated they are about developing what they call “superstrains” of fungi that biologically bond with the roots of your plants. Beneficial Fungi maximizes root absorption of oxygen, nutrients and water, root growth for optimum yields, production of floral essential oils and helps your roots gain surface mass.